The latest in Fujifilm's X-series lineup, the X-T10, offers most of the core specifications as its big brother the X-T1 but wraps them in a smaller, less-costly body. We've been using a pre-production X-T10 for a few days, and as well as real-world and studio samples we've also prepared some first impressions of its handling and performance. Probably the most impressive part of the X-T10's spec sheet compared to earlier X-series models is its AF mode. New 'Zone' and 'Wide/Tracking' modes get the X-T10's AF system closer to dynamic 3D-tracking systems such as those found in Nikon DSLRs and the Sony a6000. We'll be looking at this new AF system (which has also been retrofitted to the X-T1 via a recent firmware update) in more depth very soon. "mechanical remote releases are a good deal cheaper than electronic ones (and a lot of photographers already have at lease one at the bottom of a camera bag). " Really? The only reason I have one (on a shelf) is I bought it in 1965, and I'm nostalgic sometimes. I have no intention of using it again. I think I paid $5 for my electronic remote. "flash. Don't get too excited though, it's not particularly powerful (GN 7 at ISO 200) and cannot trigger other flashes remotely." It cannot? There is no Commander mode? Damn, what a beautiful camera! I simply don't like the look of it. It is looking old and boring for me - but it's all a matter of taste. If the color tone matches the XT-1, the focus faster than X-T1 and video is good, it should be most of people's favor at this price. 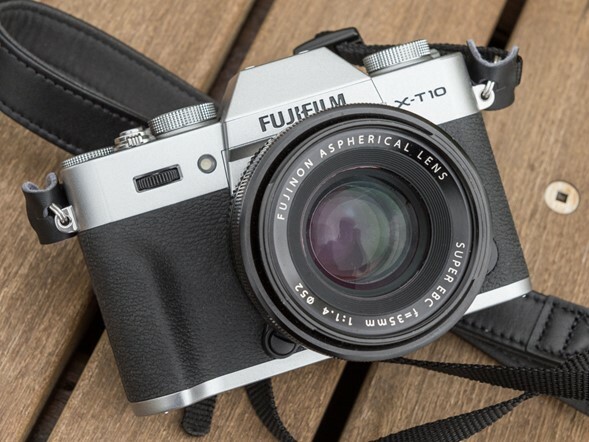 However, it will result in the X-T1 price down too. I haven't really liked Fuji designs til now but damn, this one is beautiful. Still not a fan of the big lenses that come with the APS-C sensor though. Well, "small" is a relative term. This camera is narrower than my X-E1, but taller, thicker, and heavier. I was hoping for a fair bit lighter and smaller in all dimensions tbh. Still, there are some nice features not present on my cam, and I'm guessing the AF and EVF are much quicker. Wonder what the video is like? 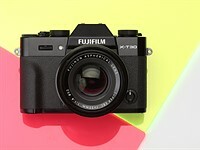 Judging by the retro styling, Fujifilm doesn't want young people buying their cameras. 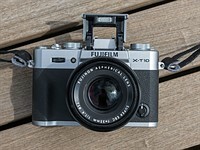 "Judging by the retro styling, Fujifilm doesn't want young people buying their cameras." << And who can blame them? I think a lot of young people would actually like this styling. It's got a lot more character than the bland, melted, smoothed-over styles of most cameras. So young people dont know the love of classic shapes? Attitude adjustment please. Thank you. "Fujifilm's XA range of lenses"
There is no such thing. XF and XC, XF being the one with aperture rings (but then again there is XF 27/2.8 without it). Why is everyone posting about what the camera looks like? WHO CARES? It's a camera, not a woman in a bikini. If it takes good photos and is ergonomically sound, who cares what it looks like? I practice what I preach too--I recently picked up a red (yes, red) Nikon D5300, it being red isn't my thing, but I got it for cheap (only $120 more than what I got from selling my Nikon D5000 which is 3 generations older) and its sensor is great. With the good photos I've been getting from it, I forget about the ugly red body real quick. "If it takes good photos and is ergonomically sound, who cares what it looks like?" ...that's exactly my attitude to women in bikini. "Why is everyone posting about what the camera looks like? " Because it is not like it is interesting otherwise, no new features, no new performance records, no competitive price etc. 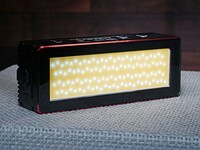 There is a reason why red camera is cheaper because it is not a popular color. You may not get much on the 2nd hand market. Thank you, nice first impressions. Except the "problems" with left and right on the camera. Hint: The flash lock is on the LEFT of the top-plate, the "Q" button also on the LEFT of the 4-way controller. There is a difference between a retro-inspired design and a bad imitation of past cameras. Wow, 1962 called and wants it ugly stick back! Aww, I was hoping for a direct side by side lik the new little Panny to compare dimensions with the X-T1. (Oops, found it! it's in the first impressions review already.) I think it looks like a neat camera even though I don't understand the misaligned tripod socket. I think my appreciation for my little a6000 and how inexpensive it has become has warped my sense of price for this class of camera. 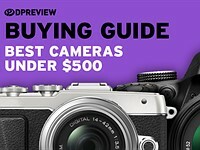 It seems really pricey, but Fuji's seem to be more expensive than their rivals and it's only $100 more than the a6000 at launch. "The flash is released using a sprung switch on the extreme right of the X-T10's top plate." "This view also shows the 'Q' shortcut button just above and to the right of the rear 4-way controller,"
Or maybe they looked from the front when writing the article. How would you see the Q button from the front? Maybe the article author have memory? yeah 60ś design. Does it have a light meter? Love the retro look. Reminds me of my first SLR back in the days. Maybe Canon should do the same! Is that an old style remote screw in shutter release on top of the on/off button? All Fujis, except for the weather sealed X-T1, have had that. I don't know why, but I find this camera hideous looking, especially from the rear. It is a nice 1930s camera. We live in 2015. I saw no mention of the public SDK and app system. Sure such camera will appeal to die hard retired people. 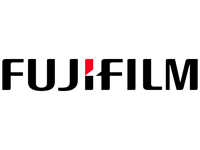 Can Fuji and the other Japanese companies please enter into the 21st century. Wrist watches nowadays offer more like GPS, App support, gyro like, accelerometer (minolta had this 10 years ago), Bluetooth 4? How will this camera operate on a drone? How will it fit a film right? 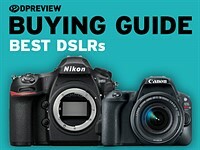 Really DPreview include some more modern criteria. Could 19th century knows and dials is not the modern enthusiast needs. Build in intervalometer is nice but today we need advanced bulb ramping not a kitchen timer. It's perfect for those of us who prefer taking photos rather than playing with gadgets...because it's a camera! 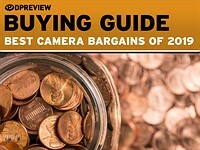 That depends on whether you want a tool for photography or a kidicam covered in useless intrusive gimmicks. Personally I prefer the former. Which camera does come with a public SDK? Canon, Sony and Nikon certainly won't come up with it. Magic lantern is a jailbreaked firmware not a public official SDK. Seems you feel threatened by new Fuji gear otherwise you wouldn't make such silly remarks. It's interesting how all the expensive wrist watches don't offer gadgets like GPS but offer simple analogue dials. The thing is when iPhone was released a lot of people thought just like you - a phone is there to talk to people. Needless to say dumb phones are now almost extinct. So going back to iPhone analogy adding API and SDK and/or working app system does not mean Fuji and/or other vendor need to mess up ergonomics like Samsung Galaxy NX. 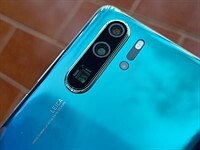 I think one of those companies can actually make iCamera - that is both pleasure to use as camera and yet offers ability to customise and integrate in other environments. 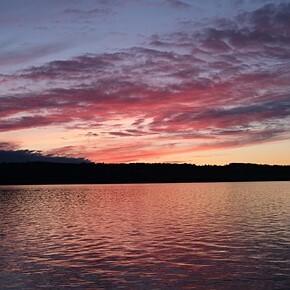 You know drone photography or drone movie making, connecting to motion sensors to take pictures of wild animals, advanced time lapse and hyper lapse. There are so many things a camera controlled by complex program can do. Given that cameras will in future be bought more by enthusiasts and pros and less by soccer moms it may be worth investing into technology that will enable the creativity of those people. Pro cameras tend to have less rather than more added functionality because pros want a camera to do what it's designed to do reliably, i.e. take good quality photos. Any extras just increase cost & complexity for little return on investment. particularly for people making a living. This camera is a perfect example, the main thing missing being weather sealing & an ISO dial compared to the X-Ti. Though the latter can be mitigated to a certain extent with customisability that itself adds complexity. Look at the number of threads on here asking questions about custom settings and button programmability. As someone whospent most of my photographic life using manual film cameras with no auto modes, no AF, no white balance and frame rates as fast as my finger could wind on the film I sometimes crave the simplicity of concentrating on the picture rather than worrying whether I've forgotten to set or unset one of potentially hundreds of parameters. Is it any wonder that people are turning to smartphones in their droves. Human hands, wrists and eyes haven't changed in the past 80 years, so why change the layout of a camera? Guess how far the layout of the keyboard you're using dates back to? Returning to cameras I do find the Fuji quite ugly. The metal dials layout is interesting but not very usable - similar to the QWERTY keyboard this retro design has not been made to be usable but the opposite - slow down the operator...DSLRs are much more ergonomic and we see how DSLR ergonomics kind of penentrate in this X-T10 to make it usable despite the ugly overalls. I personally prefer the X-T1 controls to modern DSLR electronic designs as you can see your main settings (shutter speed, aperture & ISO) without looking at the screen. For example, when the camera's near the ground on a tripod & direct sunlight makes it difficult to read the LCD. Yes, it would be nice to have this functionality built in, but it all adds cost & complexity for people that don't necessarily want it. What is it you can't do? Nigel, I agree this is great advantage to have visible dials indications. I love these. 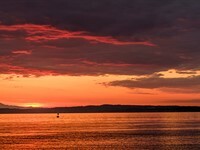 DSLR has the advantage that you need not lift your eye from the viewfinder. Arguably Fuji does some things too in that direction. 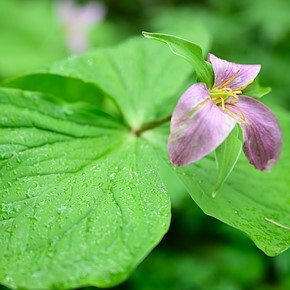 Anyway I do not want to bash Fuji they make fantastic cameras many people love. My only wish is that manufacturers think of the digital age and open up their products to 21st century. There are new use cases like drones, photo-traps, hyperlapse that did not exist until recently. These require new thinking. Hats of to Fuji for producing this great looking little camera with enthusiast controls, I'm a FF user with a lot of Nikon glass, but if I wasn't I'd be tempted by this little beauty! I'm a young heterosexual male, but if I wasn't, I'd be and old female lesbian. @cameraracist - Rumour has it you're actually a crossdressing bisexual. Well...i don't know what's so special here...the Sony A6000 is a year old...has the build in flash....is smaller and lighter....has much better AF...ergonomics are fantastic because very customisable buttons..and and probably way way cheaper. APS-C is all but abandoned by Sony, though. I don't find Sony's lens selection to be as interesting as Fuji's. I think that's been the main weakness of Sony's mirrorless system. Plus, I really like the JPEG output from Fuji's cameras. I shoot exclusive in RAW when I'm using my Canon DSLR, but with Fuji I am quite happy to shoot JPEG. 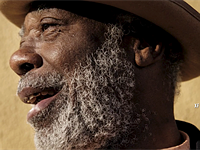 BTW, the X-T10 also has a built-in flash. I have the a6000. 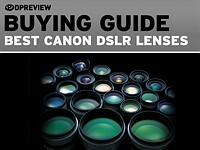 You're right about the Sony lenses although the kit lens is good for the price. The weirdest thing about the a6000 is that the jpgs are really good but the raws are rubbish, showing excessive noise reduction and over-aggressive sharpening even if you turn these parameters to minimum. Well...i wanted a small compact light gear system...the xt-1 is pretty light (still 100gr more then the Sony A6000) but the difference is lenses...the Sony lenses are extremely light compared to the Fuji's...So coming from Canon dslr gear the difference wouldn't have been that great. 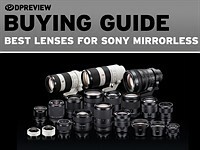 Sony now has a lot of great lenses ...zeiss or not. 24M/pixels...excellent Raw results...REAL great high iso (fuji cheat ). I think people who love the Fuji have never had a Sony A6000 in hand and actually tried it.I've tried both for a month. The problem I have with the A6000 (which is a really good camera) is what walk-around lens to recommend. The 16-50 doesn't go at all long and isn't that good, the 16-70 is what you want but is a joke price (compare with FF 24-105/24-120s). Halve the price of the 16-70 and I'd say everyone should get one. The XT-1 is a nice camera just needing better AF, if it and this now have that (and if the EVF is the same here) they are easy to recommend though, great handling. (Do remember to choose the right raw processing software tho, not LR). Going to the dentist and then to the proctologist is more fun than using a sony camera. My main camera is an A7r, so that comes from a place of experience. Does Sony provide an 85mm equivalent f/1.2 lens? I guess it's more about the feel and look than anything else. The Sony a6000 feels and look like a point-n-shoot, which is the same as another other P&N from various makers. The fuji x-series is like a classic film camera, something people would actually pay attention to when you take it out in public..and that's style. Why, as a photographer, would you want "attention"? I want as little attention as I can get when I'm out shooting. People that buy Fuji seem to like it. Evidently that is their taste which is different than mine. So sticking in their face your subjective view is not going to help them. Design only a mother could love. Come on, Fuji, it's time to add IBIS and put in a proper Bayer sensor which Lightroom knows how to debayer properly. Maybe it's time for you to expand your horizons beyond one piece of software. Nah. Works fine for all the other cameras, so I'll stick with it. "No, it's Fuji who is wrong." Looking at the latest list of World Press award winners, I see very very few with Sony or Olympus gear. Most of them seem to be winning with a Canon or Nikon. Could it be World Press photos are taken mostly with Canikon because Canikon have the most global market share and are the only systems those pros have known for the past 20 years? It's in fact rather telling that Sony and Olympus are starting to gain traction within this user base. They are a lot more present in contests here in dpreview. @photogeek. But it doesn't work fine with all camera. Like film developers, you don't use the same chemistry for every film. There is a difference in files from every manufacturer when processed with LR, PN, C1, RT, DxO, etc. Your comments of how how it works fine shows you meed to get out a little bit more...because you are not getting it. I agree only with the bayer comment, otherwise this looks like a nice camera. I recently bought a Fuji X-T1, coming from Nikon FF and APS-C bodies. Kept those too and my lenses. But what's disappointing is the lack of IBIS. Especially for adapted lenses. But also for the nice primes Fuji has...yes, they let in more light, have great DOF, but if I'm shooting architecture handheld in a dark place, I still end up using higher ISO than I'd need with IBIS. Think about how nice it would be to not only gain light via a larger aperture, but being able to shoot lower ISO because you have IBIS. Very nice indeed. I'm almost tempted to consider one. I like the grip which reminds me of some of my own earlier designs. You continue to awe us with great products....Cant wait till you get to fullframe. Yes I can imagine the 8% of ILC users who use FF all rushing to buy a Fuji FF which will have a couple of lenses at launch, and abandoning their current systems with hundreds of lenses and large accessories range. Fuji currently has the smallest market share of the mirrorless mounts. Perhaps they should concentrate on building that market share rather than devoting resources to building a system for an even smaller market. 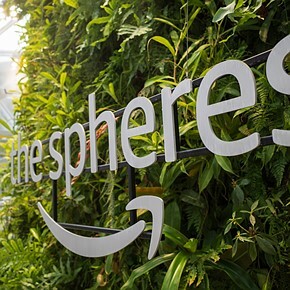 They have a good range of lenses (better than many) and nice cameras, so I'm not sure market share matters as long as they look like continuing in the business. Canon sell about the same number of mirrorless cameras as Panasonic, but I'm not planning to change the GH4 for a M3. I think Fuji has built a great little system and like their designs. I just think it would be a waste of money and effort to develop a FF system that (lets be honest) would have a tiny market share and could never be profitable. Most FF users are more likely to require a comprehensive lens range, Professional support if Pro etc. and would not change to Fuji when there is so much more available from Canikon (and even Minolta/Sony). So that leaves a subset of Fuji users and the few that would migrate from m43 and other systems. The economics of developing a FF system from scratch simply don't add up when the market overall is shrinking and FF is a niche within that market with two (three? ) huge players already with mature systems in place and a large cost to change due to proprietary lens mounts. It will be interesting to see how Pentax/Ricoh get on with their attempt at FF... I wonder if they will use a high-MP sensor (the new Sony 56MP perhaps) so you can still get decent results with the APS lenses? It will be. Pentax still have a number of native legacyFF lenses that, though old, will at least be usable on their camera. Though like Fuji, their small market share makes it hard to think it will be anyway profitable. Perhaps they think it will draw some APSC users to the system with the upgrade path to FF but quite frankly, given historical trends, I think they'd be better off developing a 1" sensor system. Looking into my crystal ball in twenty years time I suspect interchangeable lens cameras will be a much smaller minority than now as most enthusiasts will be happy with their small sensor superzoom cameras that equal today's m43/APSC cameras. 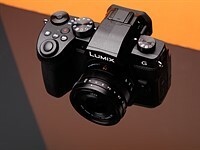 The Panasonic FZ1000/Sony RX100 are the first in a long line and as sensor quality improvesthis type of camera will become a more and more viable option. I'm sure larger sensors wll have their place but it will be a very small place. FF has effectively replaced medium format as the larger standard size and APSC now replaces 35mm/FF as the standard small size for keen photographers. Medium Format was the miniature size when my parents were young and the standard size for newspapers was the Speed Graphic (in various formats) which were used up to the beginning of the 1960s. There reaches a point where the quality is good enough for most photographers and other considerations like convenience and portability are more important. There will always be people who will use larger formats in the same way that people use 5x4" cameras now but the market will diminish considerably. I forgot to add that the APS-C format was introduced less than 20 years ago but has 80% of the enthusiast market. M43 was introduced less than seven years ago and has around the same market share as FF. so called "full frame" is hopelessly overrated. There is an increasing correlation between "I really need a FF camera"-people and complete noobs. Handsome little camera. I'm particularly surprised that it has a pop-up flash. When the flash is down, it looks like a classic non-flash viewfinder dome-- ie, it doesn't look like the camera has a pop-up flash at all. The camera doesn't look great with the flash up, but it looks great with the flash down.